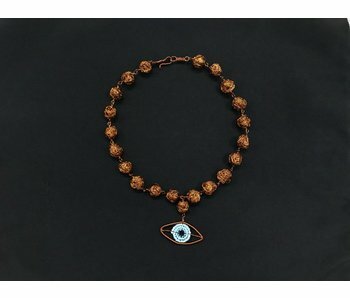 This necklace has been hand-knitted by our artisans in our Mugablein workshop. 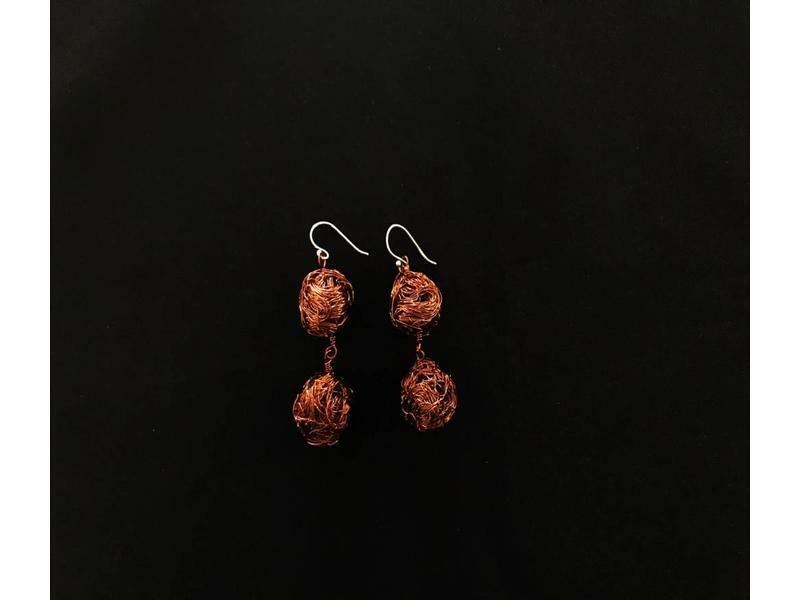 From the legendary copper mines in southern Jordan, comes a collection of delicate handmade jewellery. 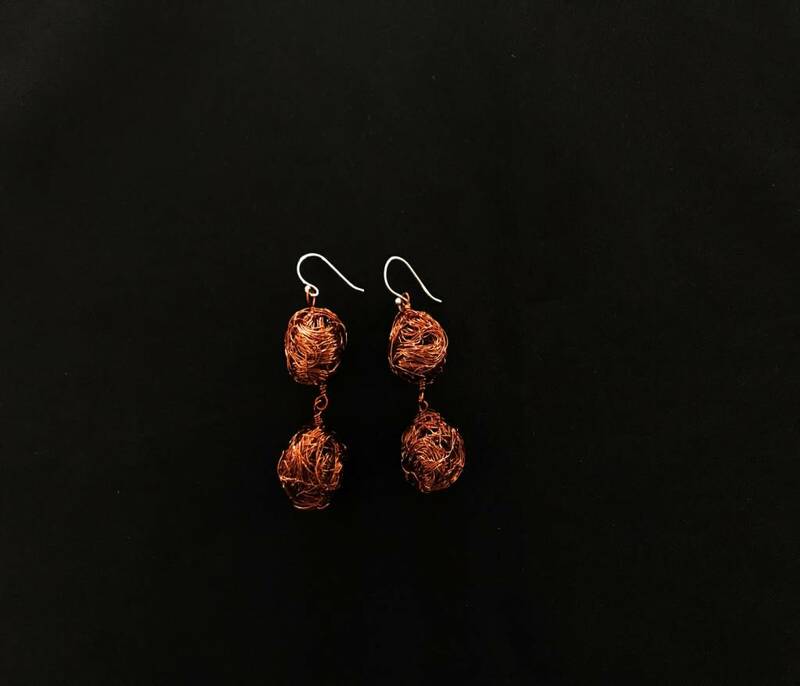 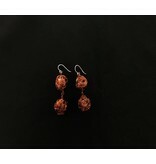 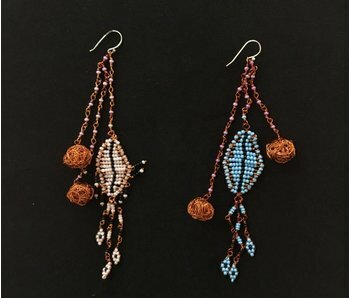 Copper earrings with copper wire beads, and beaded motifs inspired by traditional Fallahi embroidery that our traditional costumes are famous for. 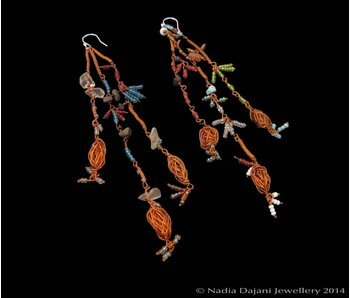 Gemstone beads linked with silver wire and a central almond shaped motif with 'Nimah' or well being inscribed on one side, and 'Daima' or always written in Arabic calligraphy on the other. 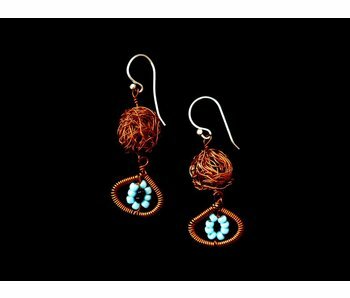 Three strands of copper tassels including wound copper beads, glass beads and gemstones.